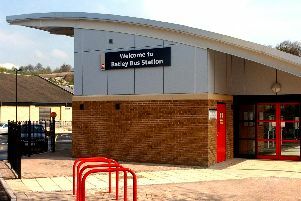 A cinema screening was halted as police made arrests in connection with burglaries across West Yorkshire. The three male teenagers, aged 14, 16 and 17, were arrested at the Showcase Cinema in Birstall in connection with a conspiracy to commit burglary offences after high value vehicle were stolen. They remain in custody. An off-duty police officer had spotted people who were wanted for the offences. The conspiracy includes offences in Keighley, Huddersfield, Cleckheaton, Brighouse, Mirfield, Batley, Bradford, Guiseley, Heckmondwike and Dewsbury committed between December 2017 and February 2018. Two men, aged 20 and 27, have previously also been arrested in connection with the investigation and released under investigation. Detective Sergeant Scott Hartley, of Kirklees District CID, said: “There were a few cinemagoers who will have got more than they bargained for last night when the drama came off the screen and in to real life. "Our thanks to the staff at Showcase Cinemas for their help in allowing us in to the screening to make the arrests and for the other people watching the film for their patience during the unscheduled interval.